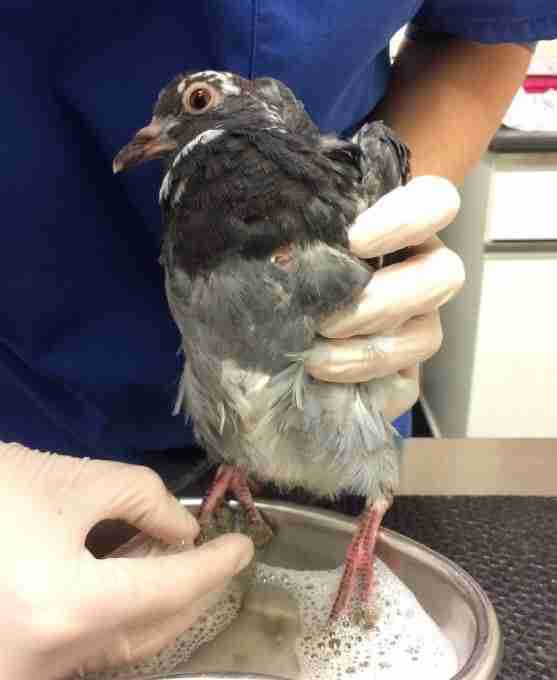 After Pat the pigeon fell from her nest, she was unable to fly back up to it, and struggled along on the ground. 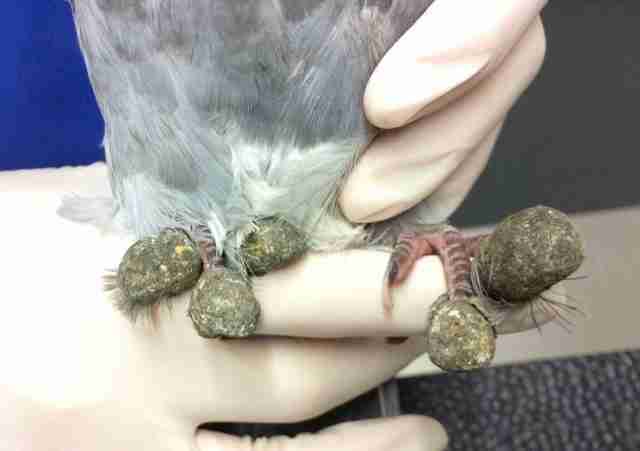 Thick balls of dirt collected on her feet, and the poor pigeon seemed completely disoriented when a 7-year-old girl finally spotted her and knew she had to help. Daisy was playing outside when she spotted Pat, and knew immediately that something wasn’t right. 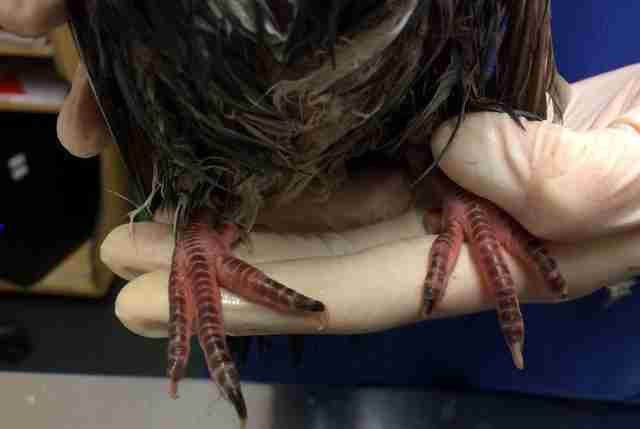 She could tell something was wrong with Pat’s feet, and rushed to her grandparents, who contacted the RSPCA so that Pat could get the help she clearly needed. After thanking the little girl for her kind actions, Raine took poor Pat to the vet, who cleaned off her feet completely, enabling her to walk properly again. 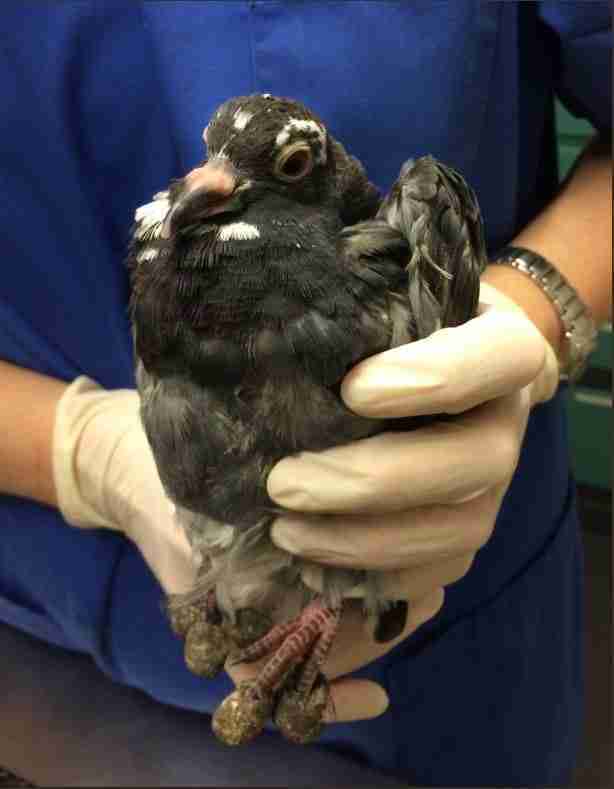 The vet also determined that Pat was rather overweight for her age, which was probably why she was struggling to fly. Doctors decided to keep her for a while until she’s completely healthy again and can be successfully released back into the wild. Pat is very lucky that she was spotted when she was, and that she now has a warm place to recover. Hopefully she will be released back into the wild soon — and will steer clear of leaning too far over the edge of a nest again in the future. If you’d like to help other animals like Pat, you can donate to the RSPCA.